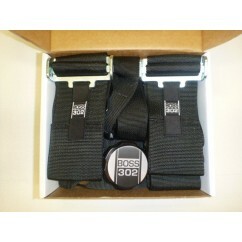 This is a clip set specifically made for 2005+ Ford Mustangs to allow harness belts to be used. 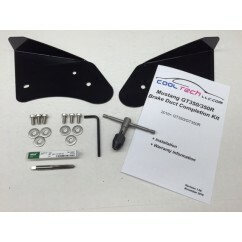 The clip sets are manufactured from 3/16" steel and the actual clip is precision TIG-welded for maximum strength. Finally, the clips are nickle plated for an attractive and durable finish. Quality Materials - 3/16 steel, TIG-welded. Nickle Finish! - Entirely nickle plated.